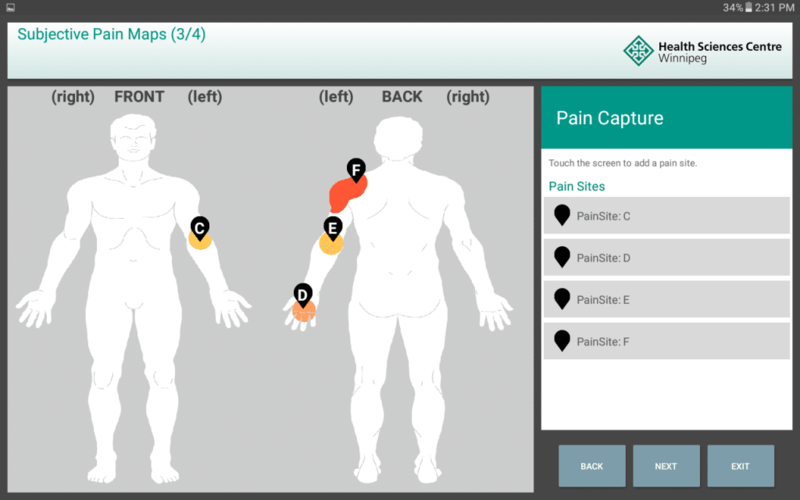 Norima’s Pain Capture Application is a tablet-based software tool for clinical data capture. It combines a set of specialized electronic surveys with interactive “pain map” diagrams. Pain is an important indicator for many health conditions, but its type, location, and intensity cannot be directly measured. The challenge? Finding a way for patients to describe their pain to clinicians and researchers in a consistent and efficient manner. 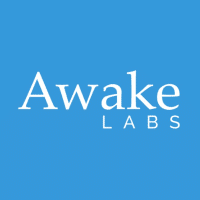 Researchers and clinicians use the tool to conduct surveys and assessments. Patients and research subjects use the interactive pain map diagrams to paint the location of their pain on the image of a body, using color to indicate the type and intensity of discomfort. Data from both sources is combined into a single data set for consequent integration with other data sets and data processing. The application has been developed in collaboration with the Department of Medicine and Immunology at the University of Manitoba’s Faculty of Medicine, to be initially used in regional and national research settings for early identification of Rheumatoid Arthritis in First Nations. Facilitates research and diagnosis by quantifiable pain data for an individual patient or population. Minimizes time and effort of the patient, researcher, and health professional to collect the comprehensive pain data for the assessment. Serves hard-to-assess patients, including those with limited literacy. Simplifies data export and integration of the data with other data sources. Easy for researchers and clinicians to use. Doesn’t require internet connection. A cloud-based* version enables real-time collection of data, independent from time and place. 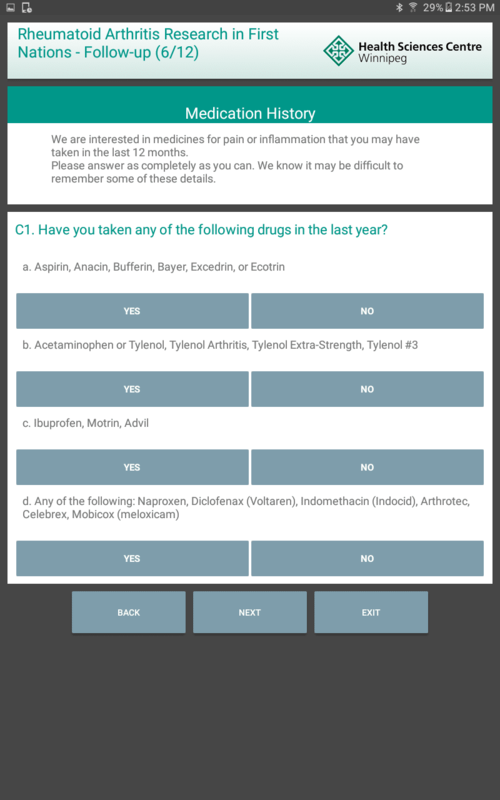 The current version of the tool offers comprehensive questionnaires developed by world-class experts in the field of Rheumatoid Arthritis. Questions are aligned to the appropriate affected joints and intensity of pain. Captures swollenness/tenderness of joints using color indicators. The Pain Map of Joints is linked to the objective catalogues of the 68 major joints for the quantified data gathering. Captures areas the patient has pain and indicates the intensity of the pain in the affected area(s) using color indicators. 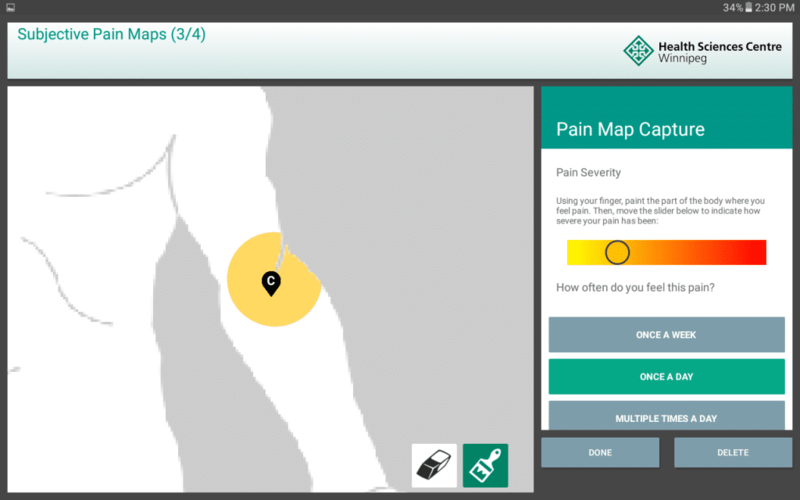 The Pain Map is used in conjunction with a series of specific questions for each area identified, as well as the intensity of the pain for the affected area. Several levels of protection and access rights implemented for Android-based devices to ensure maximum protection of patient information. The cloudbased version* offers HIPAA compliant transmission and storage of patient information. An integration suite* enables easy export of the electronic data and integration with other data sources for comprehensive analysis. A customization editor* enables easy customization of the user interfaces for virtual maps, as well as for questionnaires in other areas of practice dealing with pain management (e.g. acute and chronic pain, physiotherapy, rehabilitation, geriatrics, etc. ), and other areas of practice where personalized health data intake and assessment is required. Want to learn more about Norima Innovations? To learn more about Norima Innovations, fill out the form below!